Chalice corals represent a large group of wildly disparate corals that share little in common past their flat, plate-forming appearance. There are over ten Genera of corals that are all described as Chalices. Because of this, care requirements for chalice corals are all over the place. Having said that, Chalice corals are possibly THE most popular "rare" coral amongst coral collectors in the reef aquarium hobby today. Several years ago, you couldn't give them away but now, Chalices frequently fetch high dollars. This may in part be a result of the improved quality of Chalice specimens being exported from places like Indonesia and other island nations in the South Pacific. High-end Chalices can display a wild variety of colors and patterns resembling melted crayons. 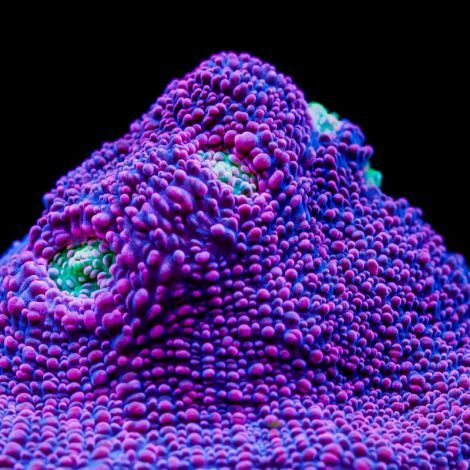 If you are into Chalice corals, check back often. 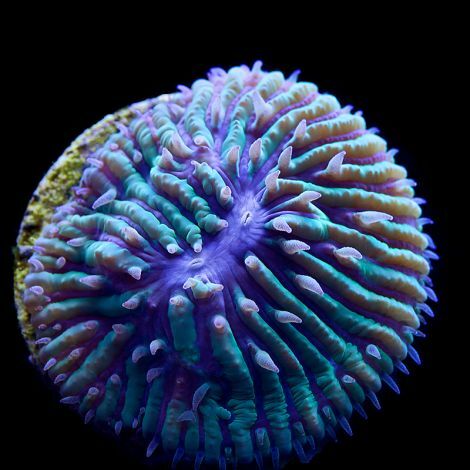 Tidal Gardens is always on the lookout for new and interesting color morphs to propagate and offer for sale on a WYSIWYG basis..